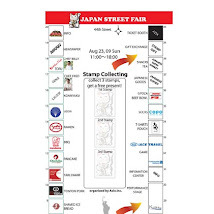 The NYC Japan Street Fair: Introducing Jazz Guitarist and Composer Nobuki Takamen! 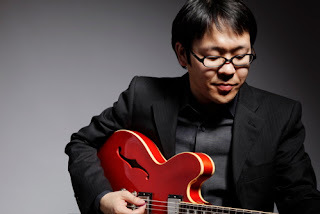 Introducing Jazz Guitarist and Composer Nobuki Takamen! 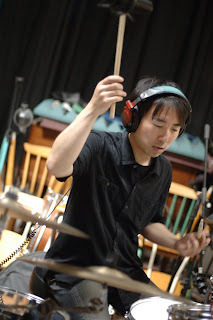 Performing at 12 to 1 PM at the Fair will be Nobuki Takamen, who leads his own group, the NOBUKI TAKAMEN GROUP, which performs his original compositions and arrangements throughout the tri-state area. 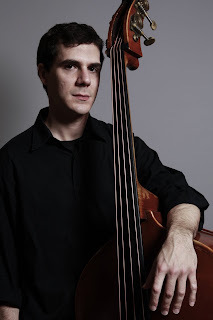 A mainstay of the New York jazz scene, he has also performed at jazz festivals, including the Festival International de Jazz de Montreal 2009, the Medicine Hat Jazz Fest 2009, the Calgary Jazz Festival 2009, the Rochester International Jazz Festival 2007, and toured annually throughout Japan since 2004. Nobuki has two albums as a leader released from What's New Records. Both the first album, Bull's Blues (2006), and the second, FROM NOW ON (2008) are comprised entirely of his original compositions an! d have b een featured in DownBeat, Just Jazz Guitar, AllAboutJazz, Jazz Guitar Book, LA Jazz Scene, Jazz Life Magazine and Swing Journal. The group performed at Iridium Jazz Club in NYC in July 2009. This performance was recorded live and it is to be released as his third album, Live at the Iridium in 2010. Nobuki endorses Acoustic Image Amplifiers, Raezer's Edge Speaker Cabinets and Yamaha USA. Nobuki Takamen, born in 1977 and raised in Hiroshima, Japan, now resides in Jersey City, New Jersey.